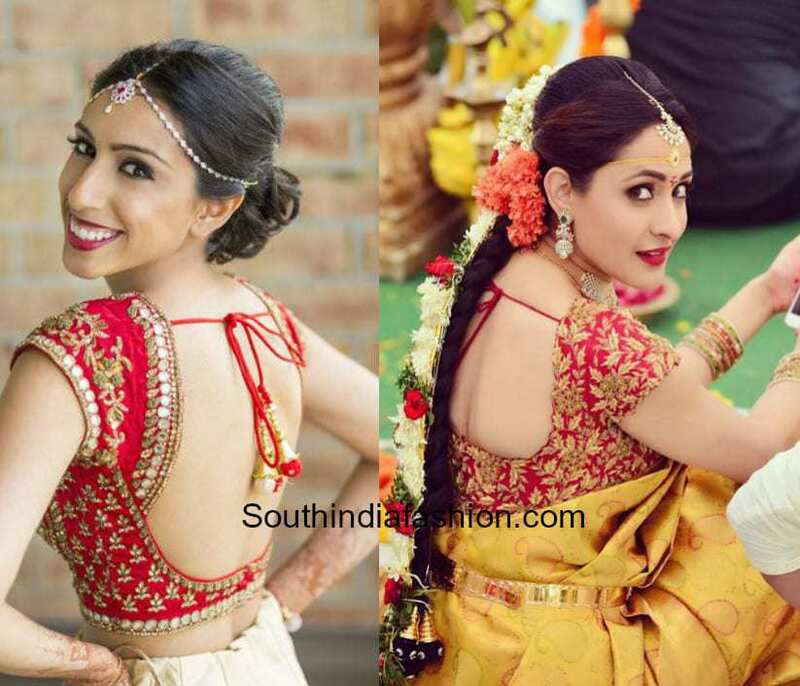 Indian brides look stunning in beautiful designer blouses. Online blouse shopping and customizing embroidery blouses are only getting easier and convenient by the day thus allowing women to experiment with a variety of different styles. No Indian occasion is complete without the color Red. Be it any outfit or any age group, Indian weddings, festivities and auspicious occasions are not complete without the red outfits. 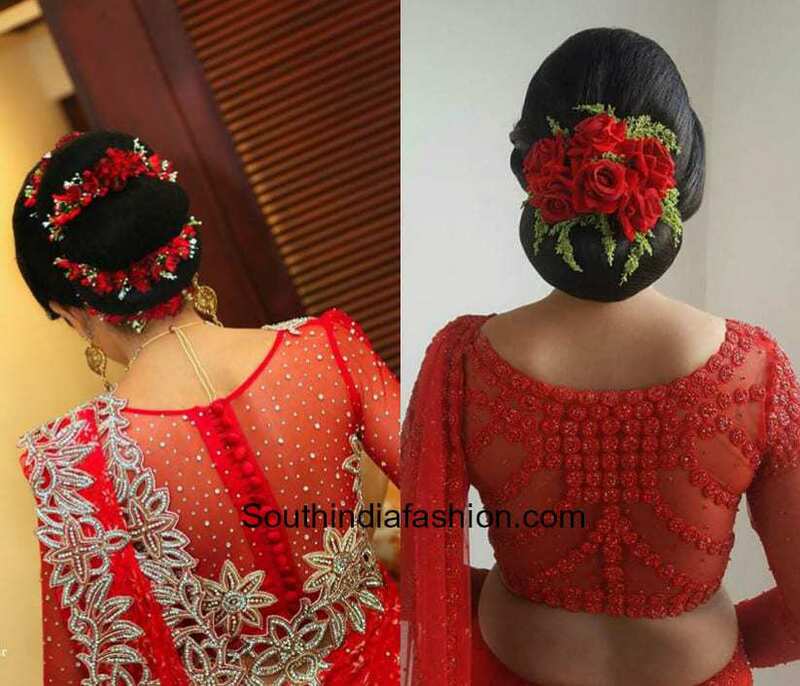 Based on the red theme we have rounded out ravishing red embroidered bridal blouse designs. If you are a 2018 bride or if you have a wedding to attend, these stunning red blouses are sure to inspire you. 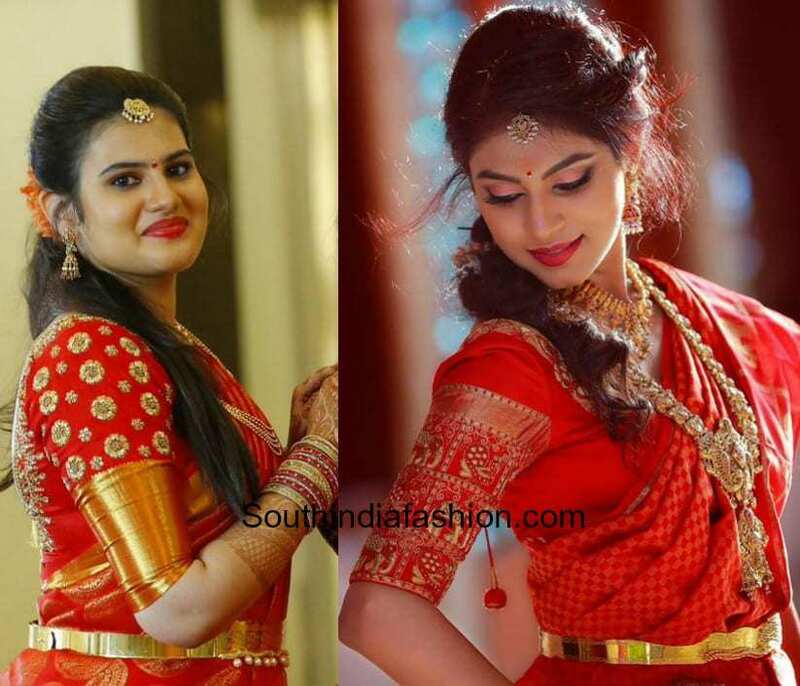 Be it any color kanjeevaram silk saree, the red blouses make a wonderful contrast and blends beautifully with the traditional attire. 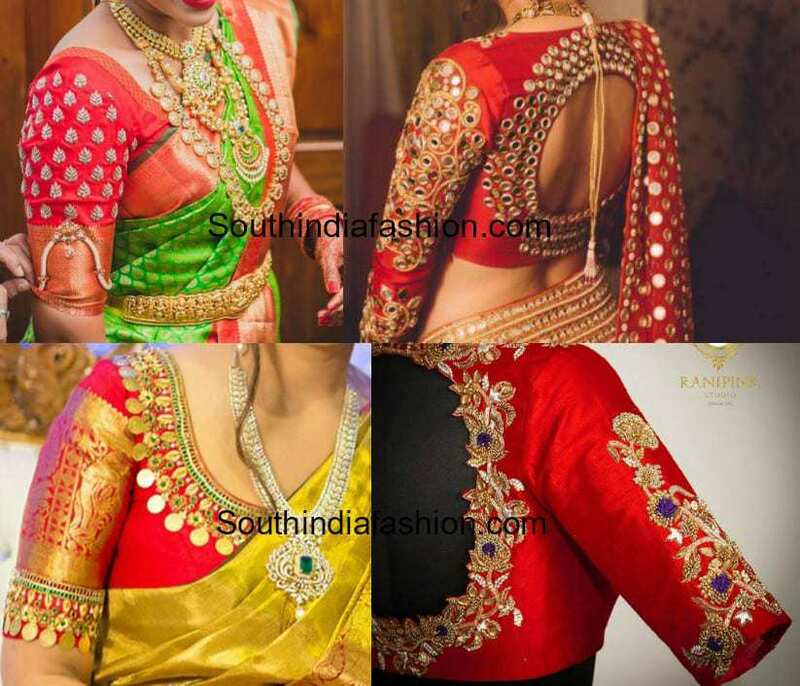 Red blouses can also be matched with the timeless red sarees and can be experimented with a variety of different embroidery designs. Traditional and versatile colors like yellow, green, blue, and gold itself make a wonderful combination for embroidery designs on red blouses. 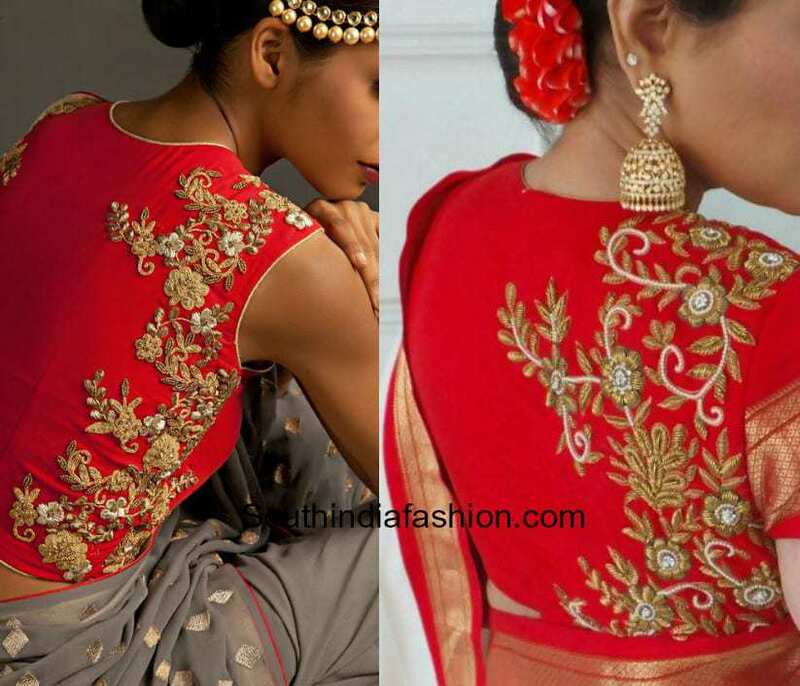 Red bridal embroidered blouses have the ability to dress up any look. The powerful color looks extremely royal and elegant with you traditional sarees. Enhance it with aari embroidery, zardosi, thread work, stone work, mirror work, etc. The options are endless and one can also mix and match the evergreen red blouses. 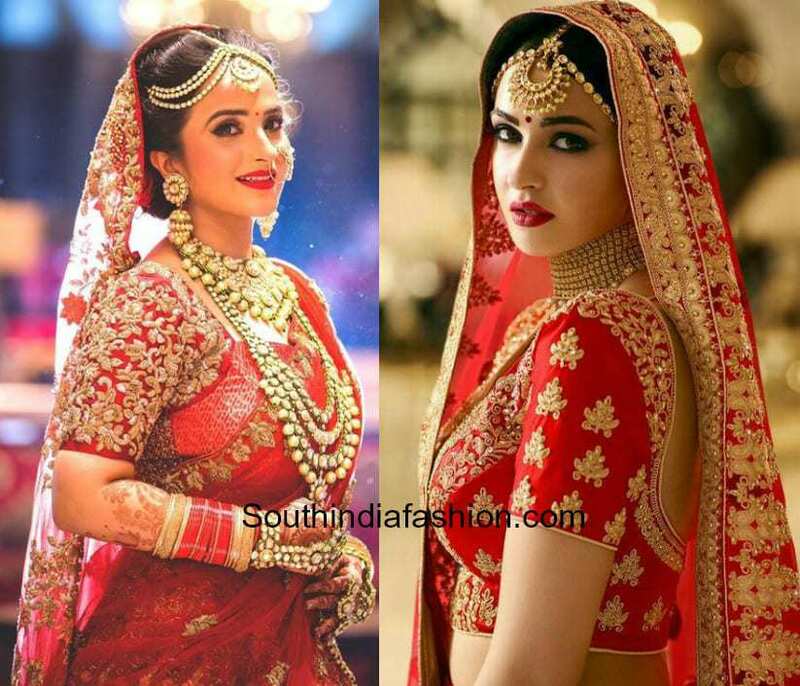 Red is also a brilliant color to opt for with your lehenga ensembles. 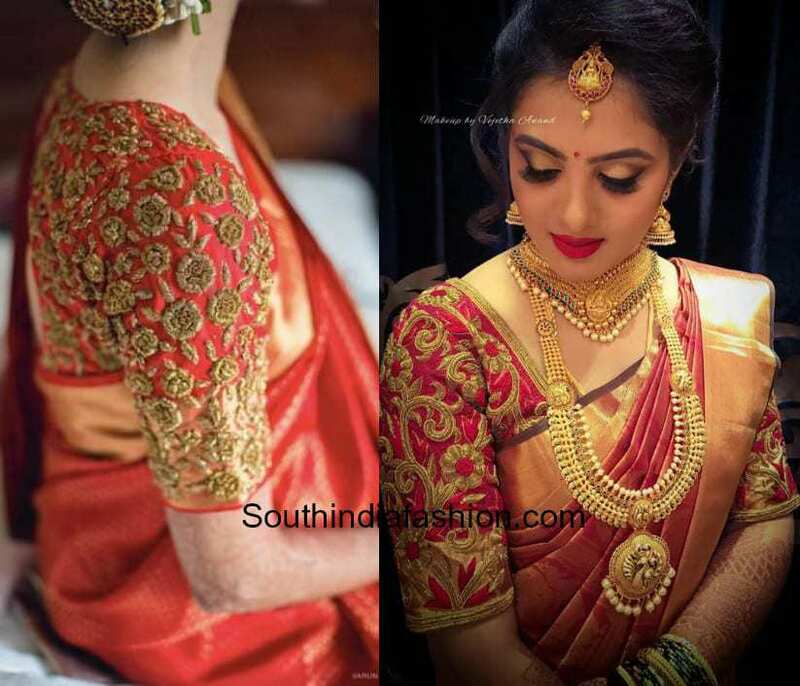 Elbow sleeves red blouses with intricate thread work or aari work or gota embroidery look splendid on your wedding lehengas. If you do not want to over-do the blouse, you can simply opt for embroidered sleeves and grab all the attention. If you want to go very minimal with your red blouses and still make a statement, then the concept embroidery is definitely for the win. 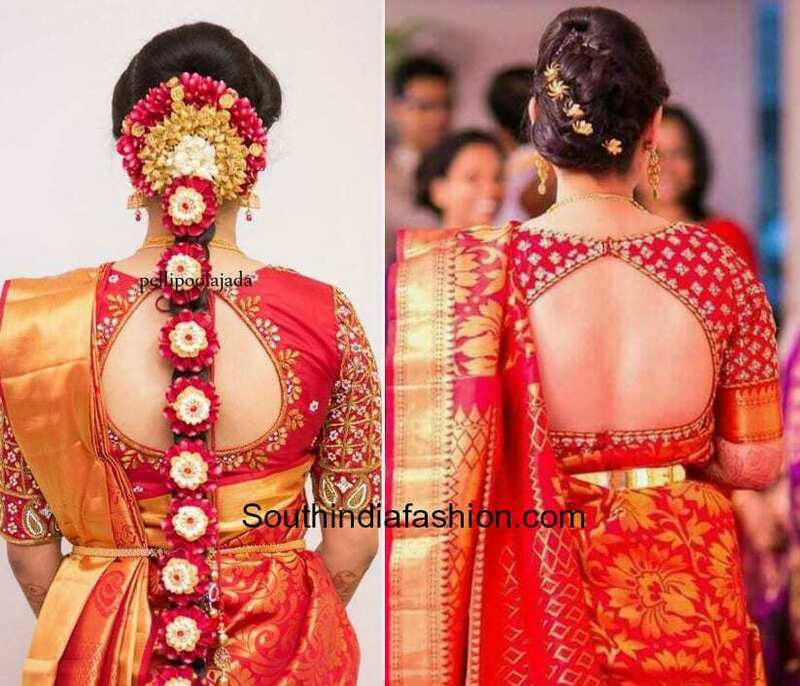 Go with high back neck blouses with one sided embroidery on the back neck for a stunning look. You can also flaunt the red blouses with your designer sarees and experiment with sheer mesh blouse designs and interesting cut-out patterns. 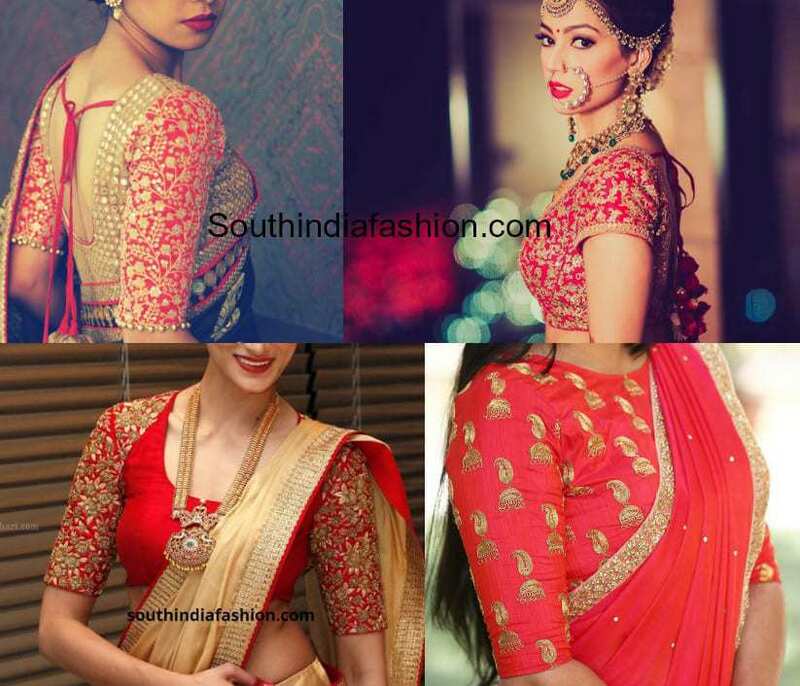 From traditional kanjeevaram sarees, lehengas or designer wear, the color red will look fabulous on anyone. The color exudes confidence and will remain timeless forever. So if you are looking to own a timeless piece for any wedding, you know what’s for the win. 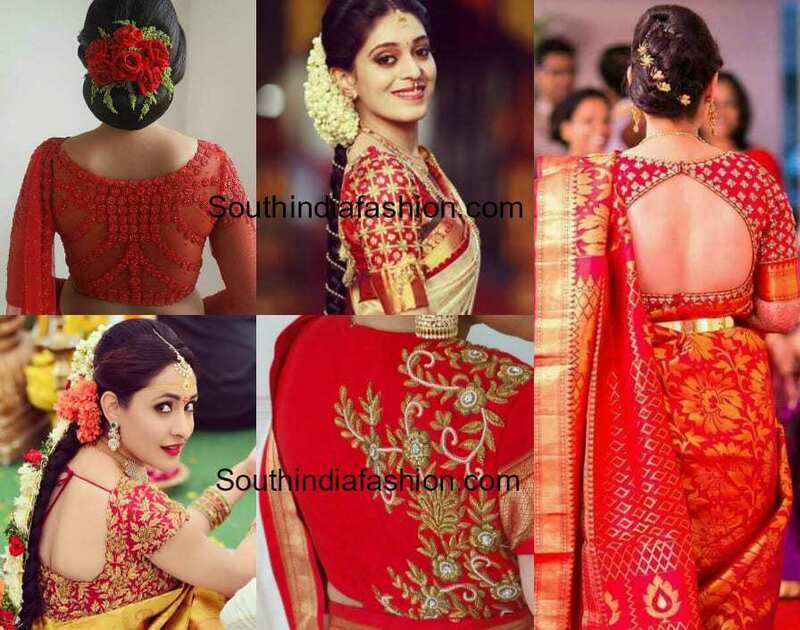 5 Vintage Saree Blouse Designs For 2018 Weddings!